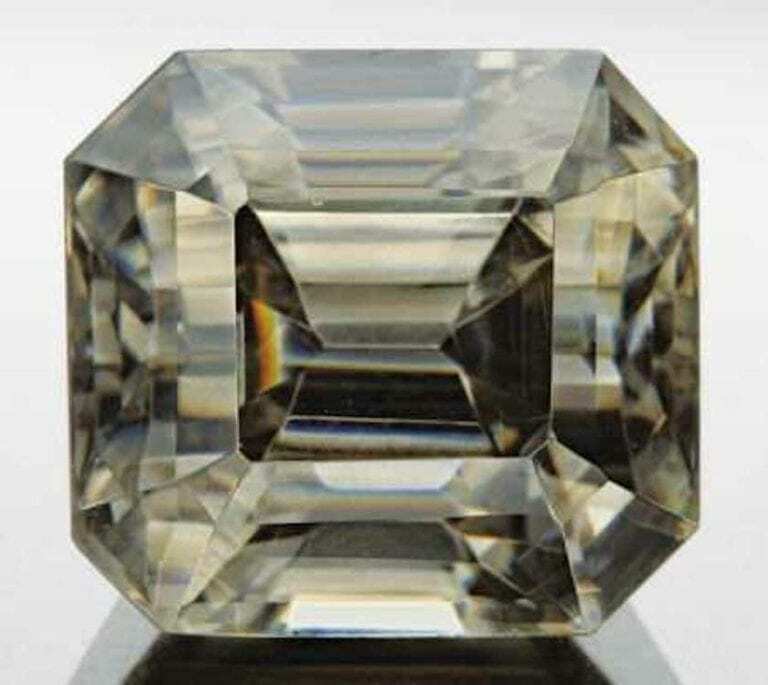 Colorless 0.35-ct thaumasite, rectangular step cut, 5.4 x 4 mm, South Africa. © The Gem Trader. Used with permission. 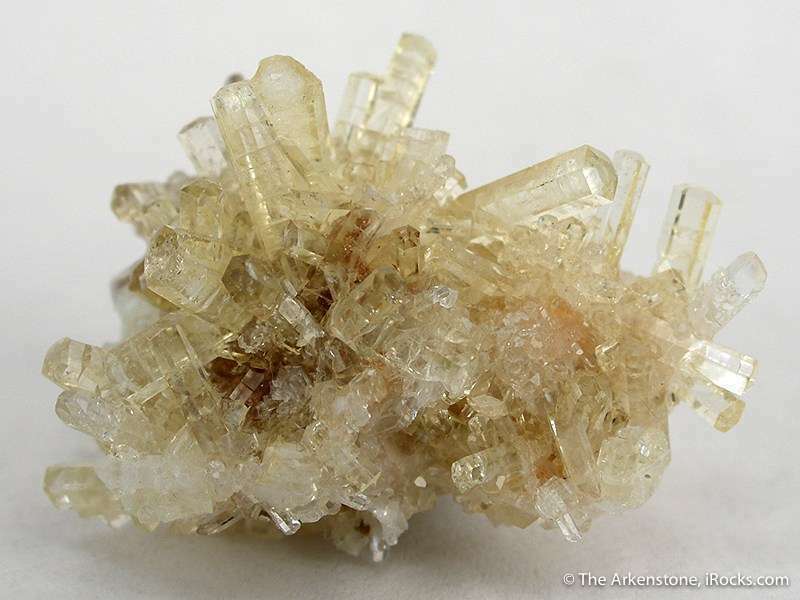 For a long time, rare thaumasite crystals — pale, fragile, and with little to no fire — were interesting primarily as mineral specimens. With the discovery of even rarer facetable material, cut thaumasites are now prized collector’s gems. Colors Colorless, white, light yellow, pink, brown. Crystallography Hexagonal. Crystals prismatic, typically acicular; usually massive, compact. Dispersion Very weak to none. Luminescence White in SW (Patterson, New Jersey) with phosphorescence. o = 1.500-1.507; e = 1.464-1.468. Uniaxial (-). From the Greek thaumasein, “to be surprised,” because of this material’s rather unusual chemical composition. Very late-stage mineral in some sulfide ore deposits; in lime-rich metamorphic rocks; associated with zeolites. Liquid films, needle-like crystals, two-phase inclusions. Thaumasites on matrix, 3.1 x 2.1 x 1.9 cm, N’Chwaning II Mine, Kalahari Fields, Northern Cape Province, South Africa. © Rob Lavinsky, www.iRocks.com. Used with permission. Thaumasite belongs to the ettringite mineral group. 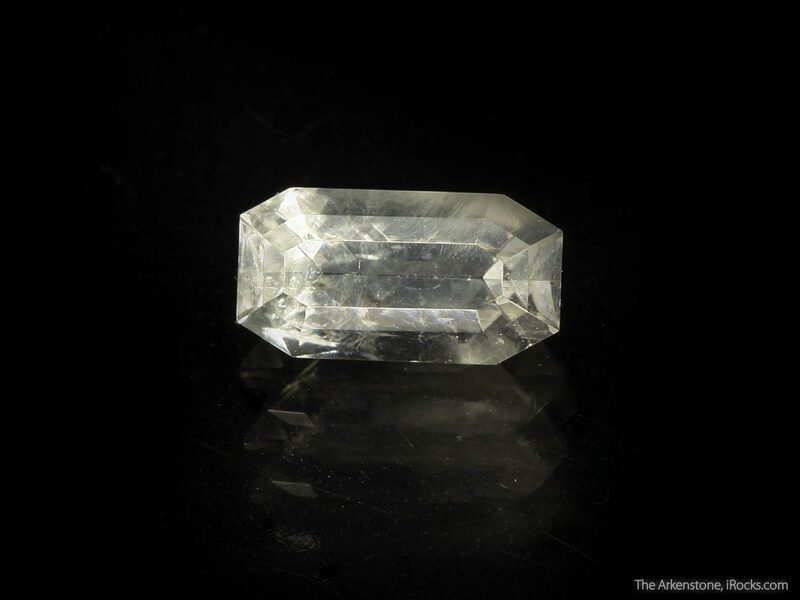 None of these minerals appear commonly in jewelry, but thaumasites and ettringites themselves are the most likely to be faceted. 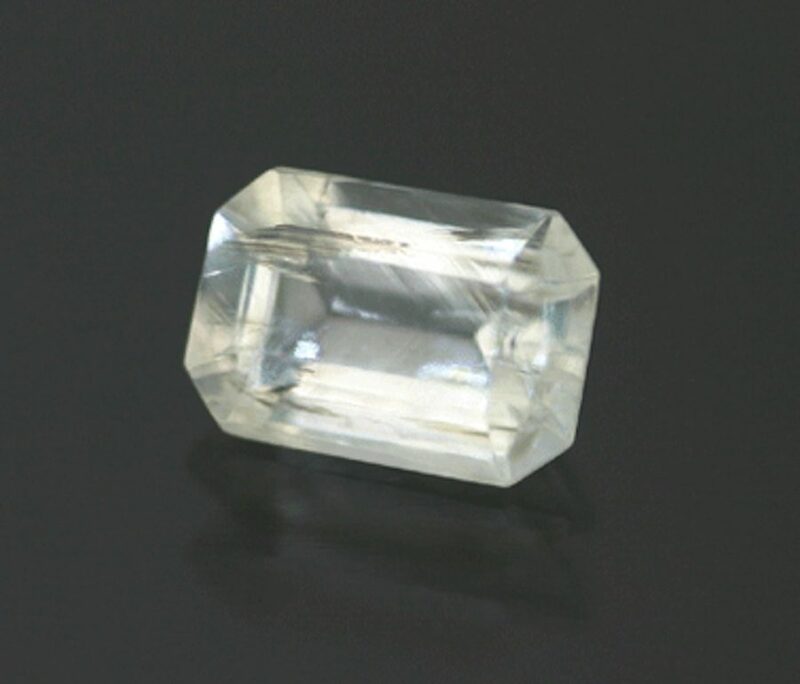 Prior to the discovery of facetable material in South Africa in the 1980s, gem cutters sometimes cut cabochons from compact, massive thaumasite. Some of these cabs show an interesting but relatively weak cat’s eye effect. 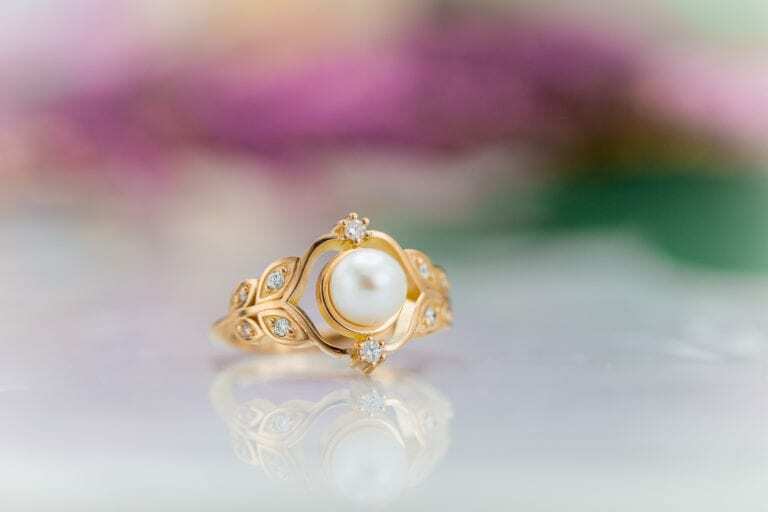 With a hardness of 3.5, thaumasite is too soft for most jewelry use. However, it seems to harden after being exposed to air. Thaumasite has a very low specific gravity (SG) of 1.91. Thus, it will always feel light for its size. 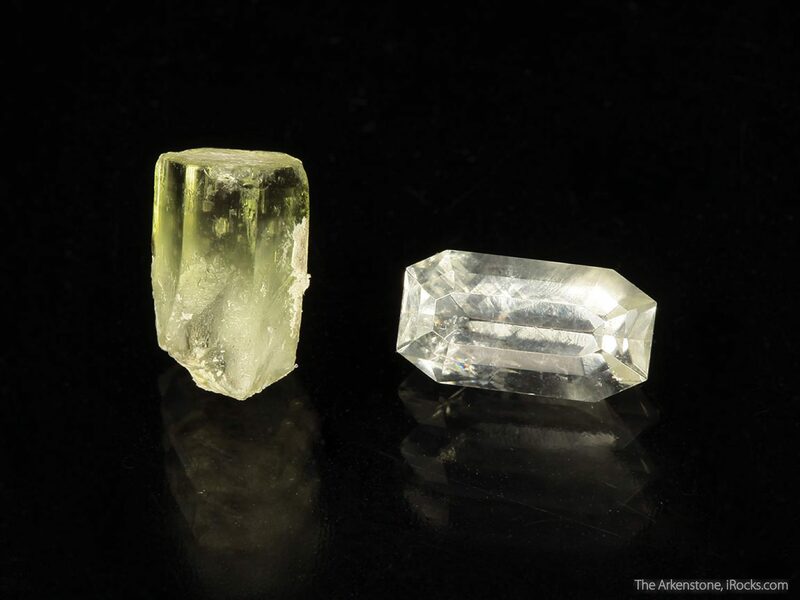 An SG test should eliminate most possible misidentifications, but some other rarely encountered gems with low SG and hardness values as well as similar color ranges include ettringite, gaylussite, inderite, kurnakovite, and ulexite. (Of these gems, ulexite is probably the most frequently encountered in jewelry or gem collections). 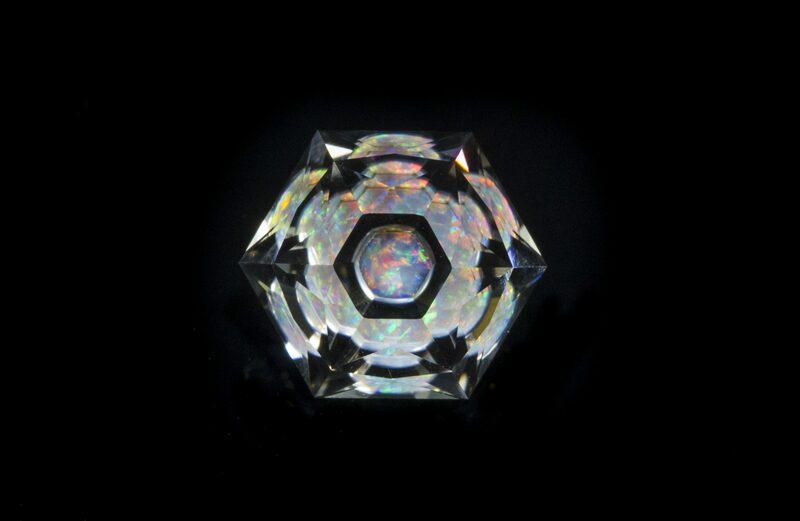 Thaumasite has high enough birefringence that some cut gems may show facet doubling. Thaumasite rough and cut set, 0.7 x 0.4 x 0.4 cm (crystal), 1.11 cts, 9.67 mm x 5.08 mm, cut corner rectangle (gem), N’Chwaning Mines, Kuruman, Kalahari manganese field, Northern Cape Province, South Africa. © Rob Lavinsky, www.iRocks.com. Used with permission. Scientists have synthesized both thaumasite and ettringite for research into a form of cement deterioration. 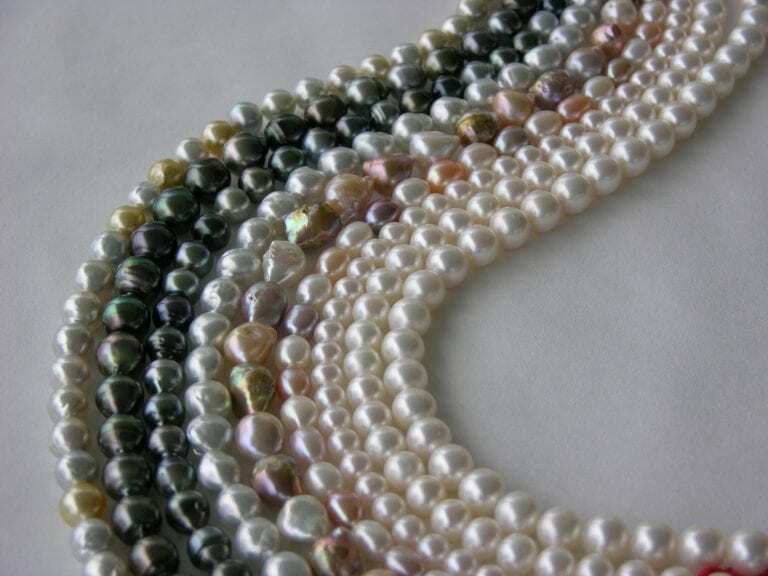 However, there’s no known jewelry use for this synthetic material. To date, the only facetable thaumasite comes from the Kalahari manganese field in Northern Cape Province, South Africa. United States: Cochise County, Arizona; Crestmore, California; Paterson, New Jersey (fine crystals); Centreville, Virginia (in masses); Beaver County, Utah. Thaumasite: Patterson, New Jersey (specimen around 1 inch across). Photo © Joel E. Arem, PhD, FGA. Used with permission. Found as relatively compact fibrous masses up to a few inches in size. 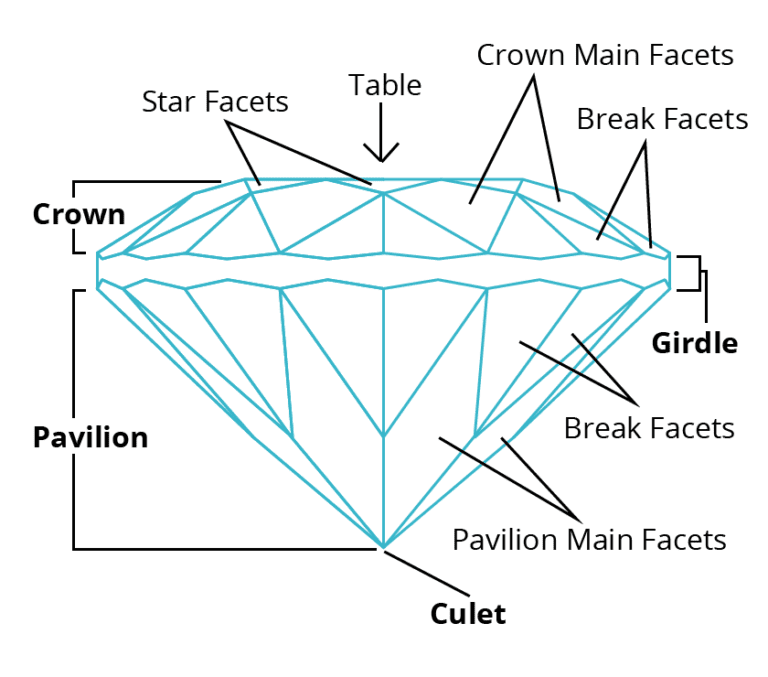 You’re more likely to find rare cut thaumasites in gem collections than jewelry collections. 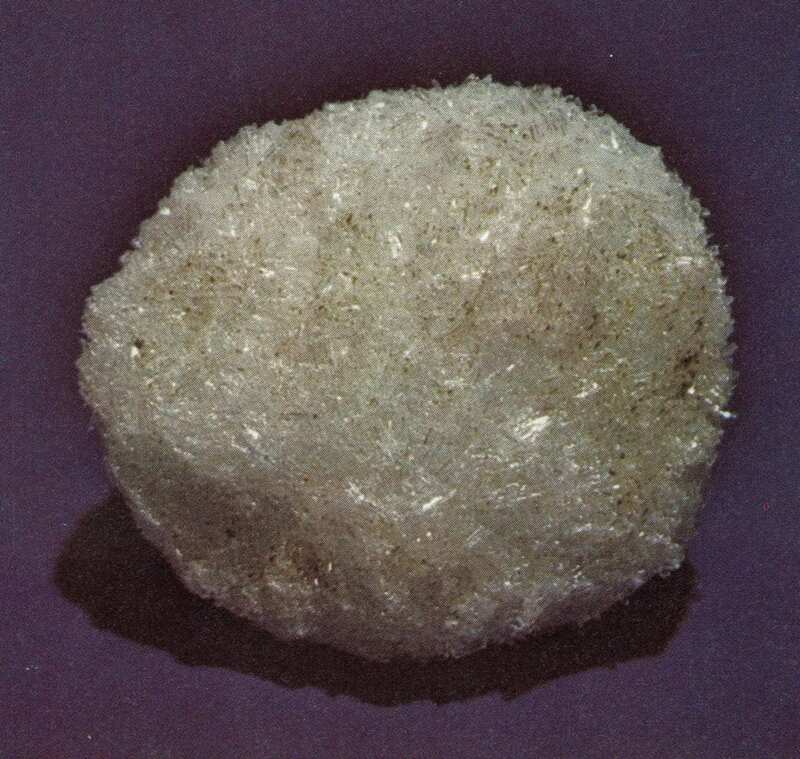 Due to their relative softness and lack of dispersion, they just don’t make very practical or desirable jewelry stones. 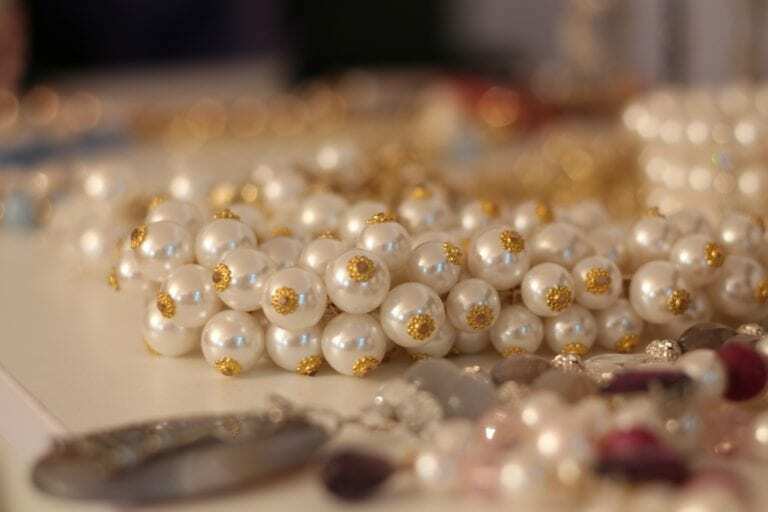 For care recommendations, consult our gemstone jewelry cleaning guide.